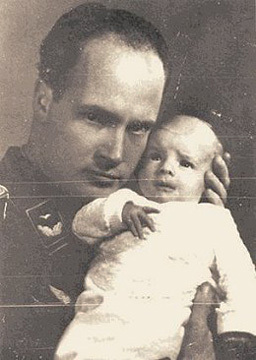 It’s on this date in 1945 that Sigmund Rascher is supposed to have been summarily executed in Dachau. If that’s what happened, it’s no more than Rascher (English Wikipedia page | German) deserved. This doctor made his Nazi bones by forging a relationship with Heinrich Himmler (he married Himmler’s ex-mistress), and joining Himmler’s SS. Rascher was doing cancer-cure experiments on animals, but once he had Himmler in his Rolodex he graduated to research on homo sapiens. blood clotting experiments, tested by giving prisoners major gunshot wounds or other grievous bodily injuries, then monitoring how well a new drug slowed the bleeding. Class act all the way. Rascher did publish some papers and deliver some conference presentations on aspects of his horrifying science, but in one of those little contradictions of the evil security state, the man was foiled in his bid for an advanced academic credential because much of the research was too secret for his peers to review. In the end it was a much more mundane breach of ethics that did him in: Rascher and wife were arrested in 1944 for having actually kidnapped the children they claimed were their own. They were stashed away in separate camps. For unclear reasons — perhaps because Rascher connected all this atrocious research back to Himmler, who was vainly trying to cut a peace deal with the West at this point, or maybe simply because Himmler was annoyed at the embarrassment his protege’s misconduct had given him — the bad doctor was summarily shot in his cell as the Allies bore down on Dachau. 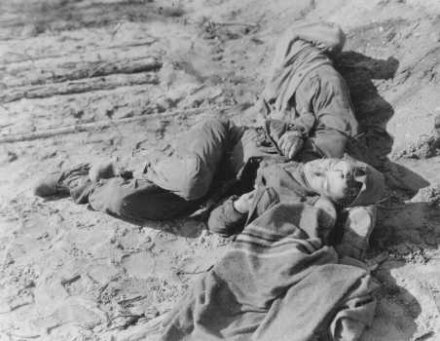 Caption: Polish and Russian forced laborers shot by the SS after they had collapsed from exhaustion during a death march. Wisenfeld, Germany, April 26, 1945.